One of the reasons I love Budapest and Hungary in general is the architecture, which is endlessly fascinating. (And which will eventually feature a lot on this blog.) I have even done some travelling in Hungary (and what used to be Hungary and the Hungarian Empire) to look specifically at particular buildings. But I first learned about Hungarian architecture in Timisoara, Romania: a mid-sized city that used to be part of Hungary. 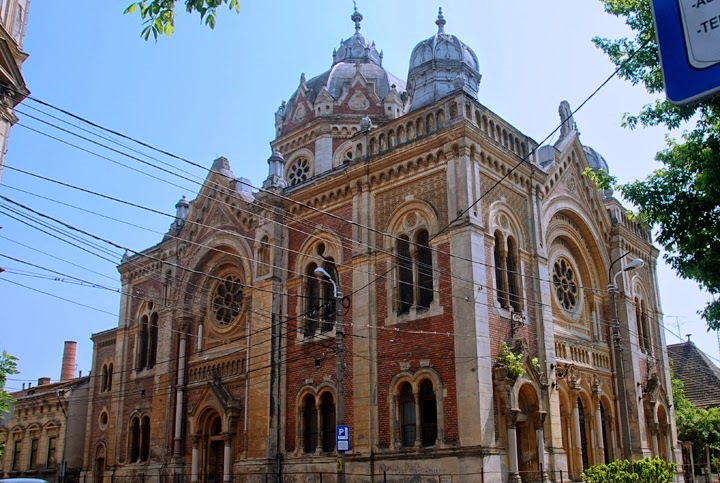 In Timisoara, I began by looking at the strange wonderful buildings that surrounded me. I started to notice particular kinds of details, to discover particular architects, and later to read about Hungarian architecture. I fell in love with Secessionist architecture from around the 1890s to the 1920s. But all this began in Timisoara. Bridge to Fabric and Turkish Baths. Lazslo Szekly Official Timisora Architect. Looking over the Bega Canal to Iosifin (named after Emperor Joseph). One of Timisoara's first expansion "towns." What were the influences? It's almost a mix of Spanish Colonial with watered down Byzantine thrown in. That is a really interesting question. The sources are German Jugendstil and European Art Nouveau. In Hungary and Austria it was called secession. the Hungarians were also to develop a "national style," but the whole question of what is authentic "Hungarian" was fraught during the period. 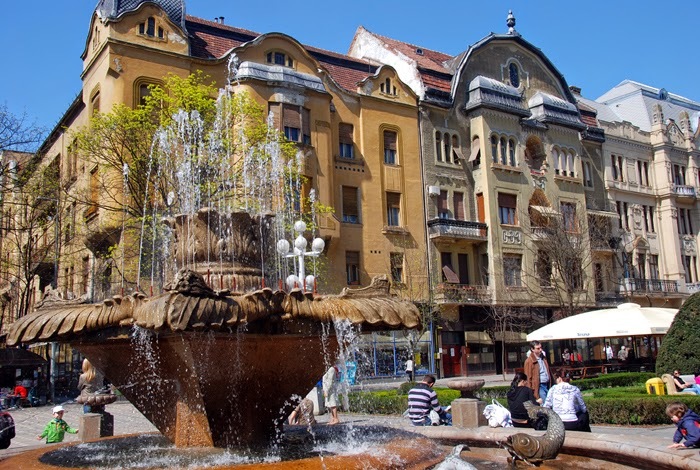 I saw these buildings when I was first inTimisoara during my hisband's Fulbright. I knew NOTHING about them. But the more I looked, the more I was hooked. I have become intensely interested in this while period. I am trying to figure out a way to do something with this interest in retirement. That's part of why Imstarted this blog. To put some of these pictures up and figure out what I might do with them. Somehow, these buildings seem a part of retirement. Thanks for the great question; it really helped me think about it. In contrast to Historicism, Hungarian Art Nouveau is based on supposed national architectural characteristics. Besides of the Zsolnay ceramics, Ödön Lechner, was the most important figure in Hungarian Art Nouveau, was inspired initially by Indian and Syrian architecture, and later by traditional Hungarian decorative designs. In this manner, he created an original synthesis of architectural styles.